On arrival at the hunting venue, please ensure that you pay your Cap Fees and complete the Hunt Register. Riders and horses names are recorded by the Membership Secretary for posterity. To start the hunt, a traditional ‘Stirrup Cup’ (Sherry, Whisky or Port) is served to the riders. At 10AM the Huntsman instructs the Drag Party to move off. 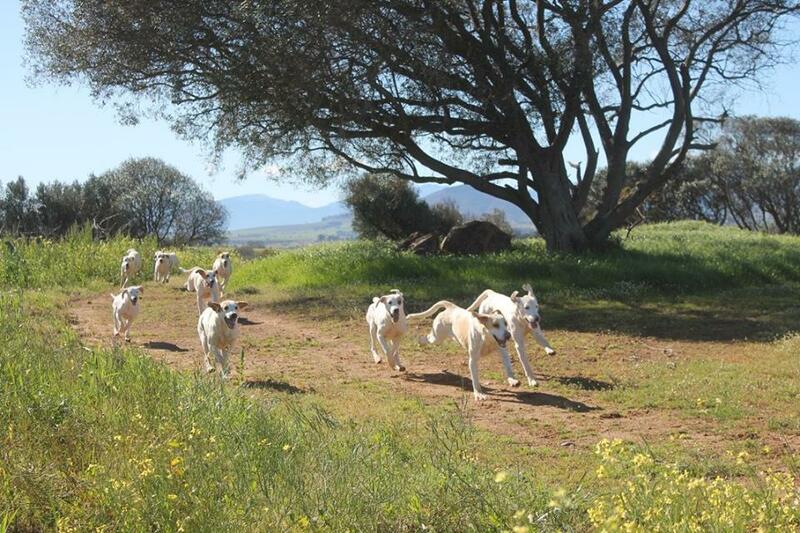 After 3-5 minutes the Huntsman will ‘lay’ the hounds on the scent and the Hunt is on its way…. – the second is a slower field for those who wish to ride at a quieter, steadier pace. The course is set over approximately 12 – 14kms, which is divided into six ‘lines’ (legs) of about 2½kms each with checks (a rest stop) in between, including the Champagne Stop at the halfway mark. At each check (rest stop) the hounds, horses and riders have a well earned ‘breather’. If you are new to the Hunt, always introduce yourself to the Field Master and ride to the back of the field until both you and your horse are confident. Under no circumstances may you overtake the Field Master. Obey his instructions and be able to pull your horse up immediately if he raises his hand and says “Hold Hard”. Beware of hounds which may be lagging behind and ensure your horse does not run them over or kick or frighten them. Call out to others behind you to “Ware Hound” (beware of the hound). Always make way for a hound and watch out for a Whipper-In attempting to bring the hound back into the pack, so that you can get out of their way quickly. Always face hounds when at a check (rest stop) and a hound is coming through. Make sure you keep a good distance from other riders, particularly at jumps, in case someone falls or if a horse refuses. Do not ‘change lanes’ without checking there is sufficient space for you to do so safely. Should you want to overtake another rider, pass by widely and slowly and announce “coming by on your left/right” to let them know. If you do not want to jump, keep away from the direct line of the jump or at the back of the field. If your horse kicks, keep well to the side of riders or preferably at the back of the field. Do not gallop around vehicles and spectators or through stock or ride across sown land. Please note that riders may not smoke during the Hunt or at any of the checks. If there is more than one Field and you wish to change Field’s, please only do so at a check and advise your Field Master accordingly. At checks always keep your horses head facing the hounds, to avoid any of the hounds getting kicked. At the Champagne Stop you may dismount from your horse and remove your hat and jacket if you wish. When mounted, you must keep your jacket buttoned-up throughout the hunt. If you wish to retire mid-Hunt, ask for permission from the Field Master first. At the Hunt’s conclusion, thank the Hunting Team and wait for the Hounds to be loaded / kennelled before dismounting. If you can, also thank the host for the privilege of hunting on their land and for your enjoyable morning. As a mark of respect to the host, please ensure that you leave the hunt venue before 4PM. In the off season, never ride over land we hunt without permission. Our hunting territory is dependent on happy landowners Please encourage and assist children who hunt and explain the hunting etiquette to them. Spectators are most welcome, and if you do not own a rough terrain vehicle, a lift can usually be arranged to the best vantage points. Please ensure that you never walk or drive over the scent once it is laid. Make sure you move off quickly once the lead vehicle goes, so that you not delay the hunt. Participation in hunting is potentially hazardous. The landowners, the club, its officials and servants are NOT responsible for any loss or damage suffered by a person or property.